It appears my mind has been wondering. Apologies. They are about to come to my cavern and I will most certainly help. since you have like a aether stone in your forehead, and it is getting more unstable as time goes by, can you like develope a unusual type of sence. Like, able to feel the presence of aether stones and when you have your hands on it, you can like detect where the user of the stone is? Peri and I will come and fetch you soon, once I catch up on role plays . . .
Just so you peeps know, I am going on hiatus until Friday starting tomorrow. So if you want to involve my perspective, you (especially K and Unknown) should probably get started. . . or wait until Friday. . . Or wing it haha. Well, I'm still waiting for the Unknown to reply, so there isn't much I can do until he does . . .
@Miss_K I apologize immensely for my thoughtlessness. This the second time you have had to swim across the river to reach me. I will do something about this right away, providing you with a boat for your use. Again I express my deepest apologies to you and Miss @Peregrine_Appleclock . Oh! Thank you very much! How nice it will be not to swim in freezing water. Oh, and do you plan to give me that Aetherstone necklace in role play? Otherwise I won't be able to use it . . . Wonderful! I'll be looking forward to it. @Unknown_Northlance are you still holding on to the whirl pool thing in the lake? Cause with miss K able to swim across without trouble from that is a bit unrealistic. Well, the whirl pool is in the river, and Peri and I swam the lake. So, I suppose we never encounter them. actually they are all through the river. If that's the case, where is the lake? Is there no way to access it apart from the river? 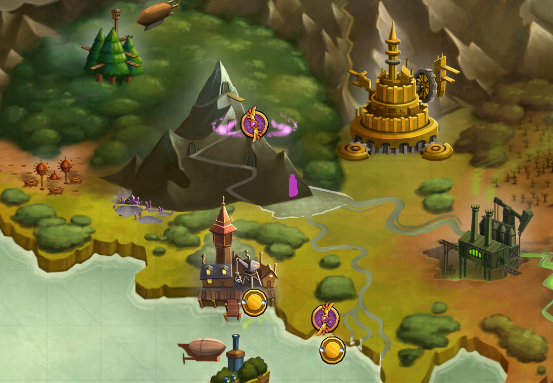 The purple mark is where my lair is located. My boat is hidden somewhere along the river closest to town. Blinks I didn't know I traveled so far to see you. Well in my story it is not so long a distance as it appears on the map. When do you want me to post, @Unknown_Northlance?